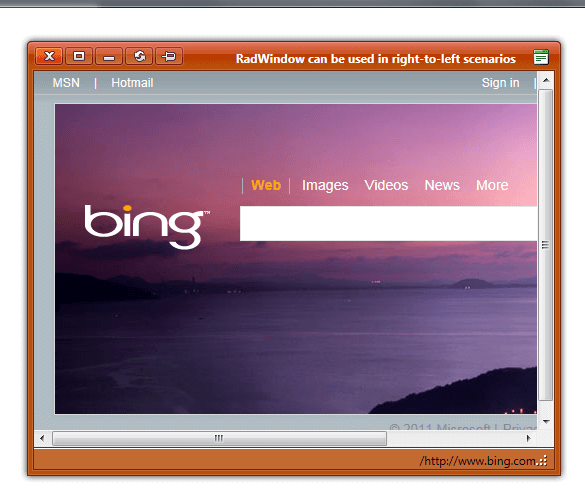 The RadWindow fully supports right-to-left (RTL) language locales. The RadWindows are rendered to the page as children of the form element and in order to turn on the RTL support you should set dir=rtl to the html or body elements. <telerik:RadWindow RenderMode="Lightweight" runat="server" Width="550" Title="RadWindow can be used in right-to-left scenarios"